Professional Pilot Training and Accelerated Flight Training — Learn to FLY with us! Tiffin Aviation provides excellent flight training programs for international students in the United States who desire to become professional airline pilots. If you are interested in becoming a pilot, please complete the Admission Form below. Do You Have a Comment or Question for Us? Hours FBO 7AM - 7PM Mon-Sat./7 AM - 5 PM-Sun. 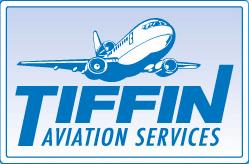 TIFFIN AVIATION SERVICES, INC. IS NOTIFYING OUR CUSTOMERS IN INDIA THAT WE NO LONGER HAVE ANY AFFILIATION WITH "HM AVIATION, SUPREET SINGH OR AFFILIATES. Announcing our new associate in Indonesia Captain Mohamad Israfuddin. Contact: at Indonesia@tiffinaviation.com for additional information. ----------------------------------------- International Students Contact: Ltiffin@tiffinaviation,com or call (520)287-9120 ----------------------------------------- The Airport Cafe' Now open 7 Days a week 7am to 2pm For information and flying lessons, call Larry at 520-287-9120 contact us today! ©2007-2019 by Tiffin Aviation Services.